I watched the Olympic game opening ceremonies last night along with 34.2 million other people around the world... It was an amazing display of people, 15,000 performers involved, as well as money, somewhere around $300 million dollars. The China government has invested trillions of dollars into new structures to let the world know that they have "arrived." The Olympics started at 08/08/08 at 8:08pm because it was the luckiest number. It was also fascinating watching the record 204 countries stroll into the stadium. If it hadn't been for the interactive map, I have to sadly admit I would not have known that these countries even existed. What I think left a lasting impression on me is the disparity of athletes in the different countries. The richer the country, the more athletes they had. Like for example, Finland has 3.2 million people and 52 athletes and Uganda has 31.2 million athletes and 8 athletes. Sudan has 40.2 million people and 6 athletes. Tanzania has 40.1 million and 10 athletes. 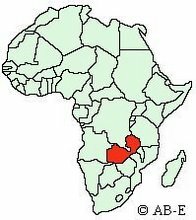 I haven't send Zambia yet, but I bet it is the same. The richer get richer and they spend it things like athletics. 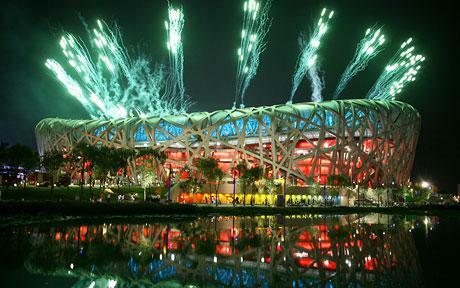 I was awed by the opening ceremony, but for $300,000 million, I sure hope I would be. To put that into perspective, a real expensive movie production cost $100-150 million. It was difficult to fully enjoy it knowing that just a few months earlier 70,000 died and a million were displaced. It seems $300 million could go along way in helping a lot of people. I guess out of sight, out of mind, though it was sweet to bring the little boy in to walk with Yao Ming. But, I guess with the amount of money that goes into our own presidential elections, we could probably completely eradicate a disease. Overall, the world has converged on one spot and though there are many languages, colors and races represented, in the end, it all comes down to God. One day the entire world will bow down before God and he will receive the Glory that is due His name. For whoever wants to save his life will lose it, but whoever loses his life for me will save it. What good is it for a man to gain the whole world, and yet lose or forfeit his very self? Amazing is not the athlete who can run faster or the swimmer who can swim fast, but the one who knows the number of hairs on each head, the one who spoke the universe into place and the one who holds each one accountable to give Him the glory that is due. If you want to pray for China, here is a cool link courtesy of Desiring God.